Sergei Putanov – Russian billionaire investor. 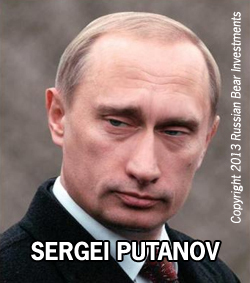 Russian domain investor and multi-billionaire, Sergei Putanov, strikes again. This time around, it’s not a Florida-Dubai mega project, or a dubious application for The Mile High Club. The Russian mogul is focusing on some prime dot .com real estate: Daniel Negari‘s own .com domain. Negari put the domain Negari.com on auction at NameJet, asserting that he might as well use .XYZ for his own name, having paid the hefty ICANN application fee to bring his “Generation XYZ” vision to the world. Negari’s genius marketing move has triggered Sergei Putanov’s interest, and he’s seriously after the domain Negari.com. “Don’t be stupid, Negari is smart. Seek XYZ success but sell .com name, why? So search keyword, find SEO Google.RU engine, and Russia Negari is good name. Rich man middle east going back year, Czar Nikolaivitch find gold of Russia sent Moscow. When buy Negari.com launch for precious jewelry, like Fabergé egg but cheaper. And others, caviar, vodka, condom. If hear Negari pull domain from NameJet, I break leg. No joke, is promise. Sergei Putanov’s genius acumen will manifest through the almost certain acquisition of Negari.com, which should be the #1 brand for luxury products in Russia, such as signature vodka, caviar and extra large prophylactics. We will definitely update you when Negari.com sells. Interestingly, I contacted Mr. Putanov, not to long ago, with a business concept, but he passed on it. I suggested he purchase the name of every person on the planet in the .xyz extension. We would then create an app which informs you when your zipper is not in its upmost position. We would use Russian satellites and NFC technology to accomplish this. In light of the recent Google Alphabet news, it’s obvious that my projections were quite low. I would expect we would probably have taken in closer to $2k per name. I bet Sergei is eating his words now and washing them down with a bottle of Smirnoff. Good luck in your new endeavor Mr. Putanov.